Leverage and share plate tectonics analysis directly from a web browser, without the need for a working knowledge of ArcGIS. PaleoGlobe was developed to extend the availability of plate tectonics modeling to a broader audience of exploration professionals. Plate tectonics has long been a viable yet cumbersome analysis methodology for assessing deposit potential. The challenge was placing plate tectonics in the hands of the geoscientist or asset analyst who was engaged in new lease assessments only periodically. An additional obstacle was the learning curve associated with mastering ArcGIS. 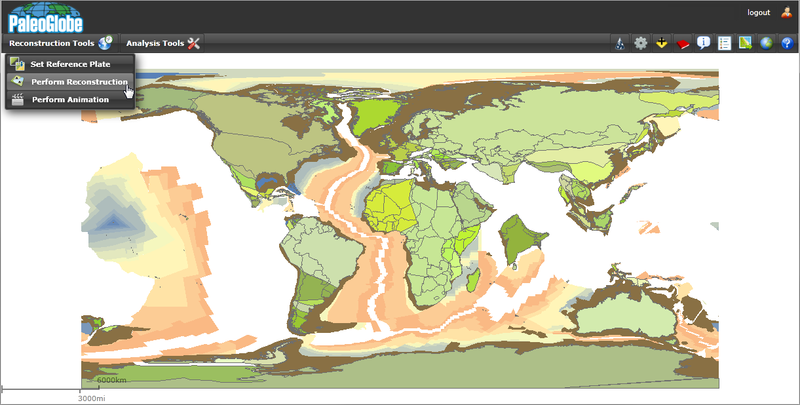 PaleoGlobe is web-based and intuitive, and it simplifies the plate reconstruction modeling process. The application delivers the essential features and functions of PaleoGIS, with the exception of plate editing. Other key features include global data sharing and a web service application program interface that allows organizations to integrate with other enterprise-wide applications. The product is ideal for geoscientists operating in regional locations or offices separate from the new-ventures exploration research team.